Korosot Chakra Astrology: Psychology of Chakras for Yoga Therapy. 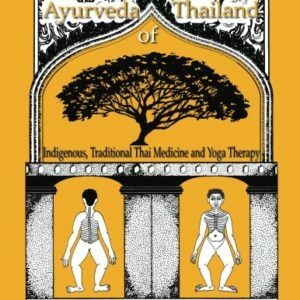 The eclectic and comprehensive introduction to the SomaVeda Integrative Traditional Therapies® Korosot Chakra Astrology method and The psychology of Chakras in human development and classification of Korosot Chakra Body Types. Combining understanding derived from Classical Indian and Thai Vedic Astrology, Medical Astrology and Western psychological principle. 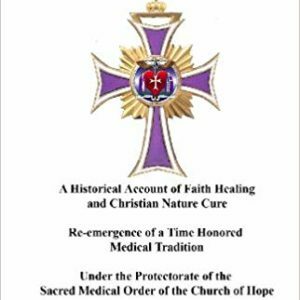 After ten years of intensive research and development Aachan, Dr. Anthony B. James presents the long awaited Korosot Chakra Astrology textbook. Korosot Chakra Astrology: Psychology of Chakras for Yoga Therapy. New Second Edition! 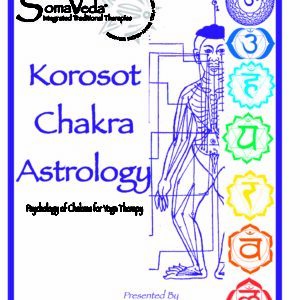 The eclectic and comprehensive introduction to the SomaVeda Integrative Traditional Therapies® Korosot Chakra Astrology method and The psychology of Chakras in human development and classification of Korosot Chakra Body Types. Combining understanding derived from Classical Indian and Thai Vedic Astrology, Medical Astrology and Western psychological principle. 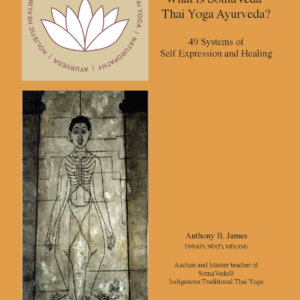 After ten years of intensive research and development Aachan, Dr. Anthony B. James presents the long awaited Korosot Chakra Astrology textbook. 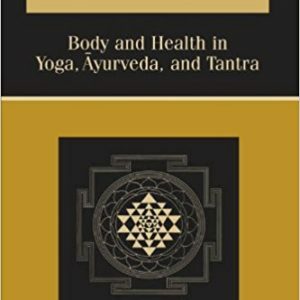 This is a comprehensive manual and guide to reading and understanding how to do Chakra Astrology for Ayurveda and Yoga Therapy and in determining Chakra based Body Types. Innovative, challenging and intriguing as well as useful in both personal life and development and in doing charts, progressions and readings for anyone. SPECIAL FEATURES INCLUDE: Learn how to do a Korosot Chakra Astrology reading in less than five minutes. Anyone can do Korosot Chakra Astrology! Everything you need is in the book to do a quick, precise Chakra reading revealing past, present and future issues. Includes the complete set of comprehensive Chakra charts based on The Chakra Poster©. There are over 52 distinctive correlations and key indications for all seven primary Chakra. 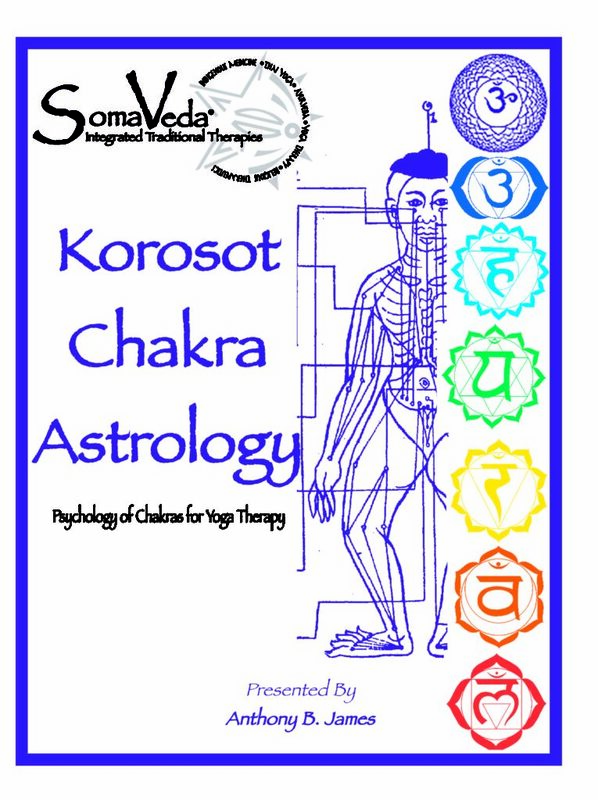 Over 71 easy to follow diagrams and explanations will guide you and introduce you to the art, practice and philosophy of Korosot Chakra Astrology for your healing practice. Includes new information on Chakra based psychology and body typing. Use for personal development and self realization as well as a unique, sound counseling model. 169 pages packed with valuable information as well as amazing and helpful diagrams.